This story was updated Friday, March 22, 2019, at 4:36 p.m. with more information. 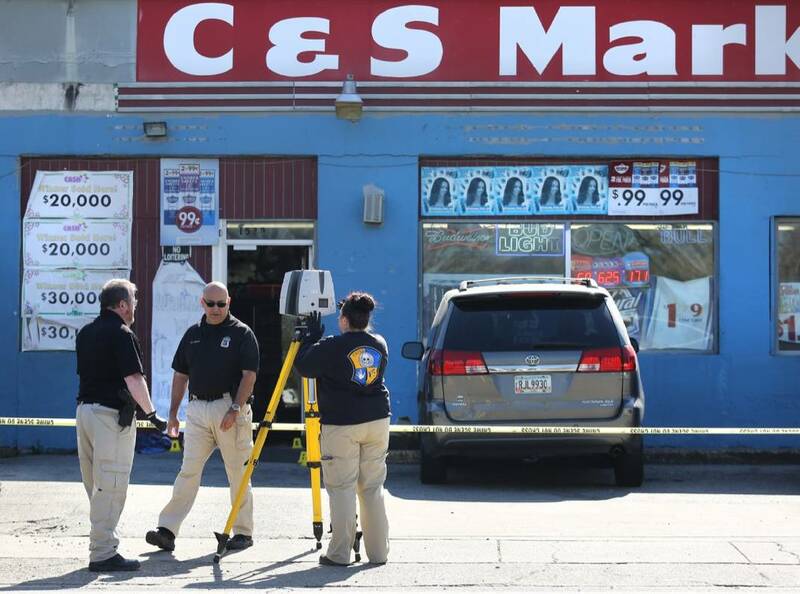 Two men were injured in a shooting Friday morning at a corner store in the 1500 block of Dodson Avenue in Chattanooga. The victims, 20 and 32 years old, were taken to a local hospital, one by ambulance and one by a personally owned vehicle, police spokeswoman Elisa Myzal said. The 20-year-old sustained critical injuries while the 32-year-old's injuries were described as not life-threatening, Myzal said. Chattanooga police arrived on scene just after 8:30 a.m. after two calls came in, one from the C&S Market at 1520 Dodson Avenue and one from across the street. Investigators later narrowed down the crime scene to just the C&S Market. Just down the street at the R And B Carwash, a man was stopped by police just after 9 a.m. He said they told him they were looking for a vehicle involved in a shooting and that his vehicle was similar to the suspected vehicle. He was searched and then let go. Right beside the carwash is a mural painted on the Frozen House restaurant. The message? "Guns down, man up." Evidence markers were scattered in front of the the door to the market where at least five shell casings were visible. Neighbors gathered across the street to watch as investigators worked. Gene Cobbins is in his 70s and lives around the street, and every morning, he said he goes to the Old Plantation Barbecue for a hot dog and then crosses the street to the C&S Market for a pack of cigarettes. That's been his routine for decades. But on Friday morning, he was 20 minutes late because he was helping his wife in the yard, he said. "It was all in God's plan," he said. "If I had been 20 minutes earlier, I'd been inside that store." It doesn't make him feel good to see the violence in his neighborhood, he said. But he's not scared of it. "'Cause see, I got Jesus on my side," he said. "... We got to realize it gon' take prayer to change things in this community."